Since December 2014, Jozi has been boasting of a new salon named Urbanzulu Natural Beauty Salon and it caters to … wait for it … naturals! Like, hello, finally! 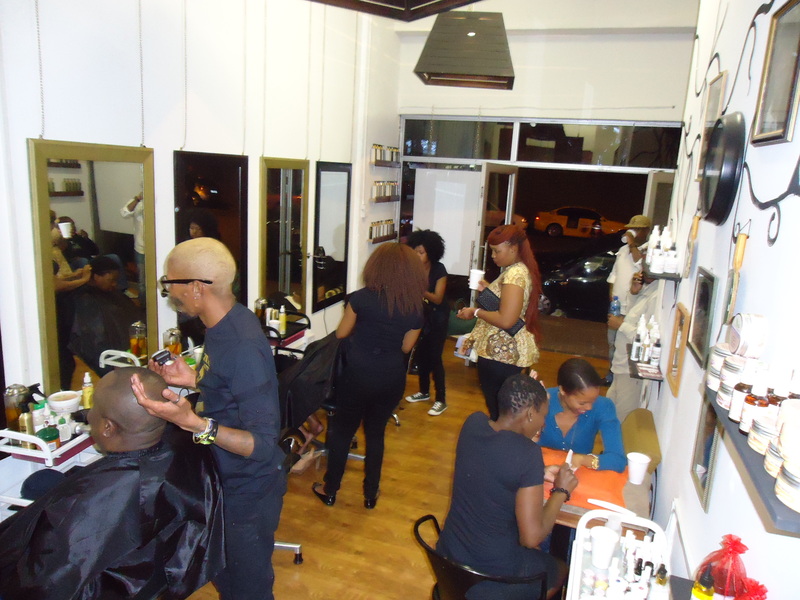 The Urbanzulu Natural Beauty stylists are all about ethnic hair care, treatments and styling. They use proudly South African products such as Nubian Nature, Earth Hair, AfroAmour and Urban Zulu, products that have benefited Mzansi economically in their creation. Hair, facials, nails, waxing and massages are also done under one roof with the Urban Zulu designer clothing store right next door. It is a beneficial marriage of beauty and fashion that will be immensely appreciated by lovers of everything ethnic that are strapped for time, but high on style. Go, check them out on their Facebook page, Urbanzulu Natural Beauty, for further details on how you can make use of their services. P.S. Thanks to Frochic, I got to attend the UrbanZulu Natural Beauty launch and it was an incredible night.